Photo by Brian Van Order. Award-winning actor Robert William Ford has appeared in numerous Michigan films, including DEFECTOR, MUGS, NEUROTICA, JUDGMENT, THE MAN WHO MAY OR MAY NOT EXIST, OPERA FARMER, AIR HEAD, THE LAST CALL, VANISHING ACT, most of the HANK DANGER films, and BLACK PAPER. He won the award for Best Actor in a Michigan Short for his performance in THE COMMANDANT at the Detroit Independent Film Festival/Uptown Film Festival, and he was subsequently nominated for awards for his roles in PLAYING HOUSE and DONALD. In addition to acting in the film, Mr. Ford is also co-producing TWENTY YEARS LATER. 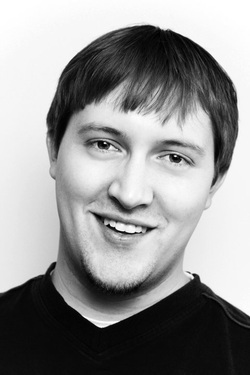 Scott Merriman is an actor and voice-over artist working in the West Michigan area. 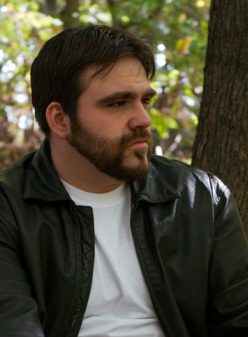 He has worked on dozens of short films, serials, and features over the past decade. His film credits include roles in DONALD, JUDGMENT, VANISHING ACT, TIMELESS, FIRST BREATH, THE DREAM COLLECTOR, STUNT MAN, and ALONE IN THE UNIVERSE. He has also played the heroic title role in the HANK DANGER series. 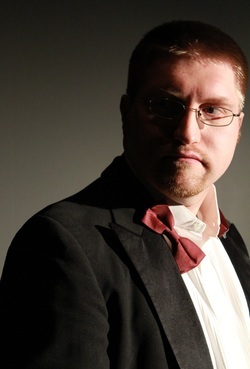 Scott has appeared on stage in Devour the Snow, Elizabeth Rex, and The Actor's Nightmare. His voice work includes performances in the Wii game Rage of the Gladiator and the Hank Danger radio play HANK DANGER AND THE ISLAND OF FIRE! In addition to his duties as writer, director, and producer, Joshua Courtade will be tackling the role of Kevin in TWENTY YEARS LATER. He has previously appeared in films such as MURDER FOR DUMMIES, NEUROTICA, NEUROTICA: AFTER DARK, CLOSE SHAVE, and several of the HANK DANGER movies. In 2013, he won the award for Best Actor in a Michigan Short Film at the Uptown Film Festival for his performance in VANISHING ACT. Dana Blackstone was born and raised in Detroit, Michigan, and made her stage debut at the tender age of three. She developed a passion for acting early on, and later began her education as a vocalist, actor, and model. Dana has had the great fortune to train in both Los Angeles and Michigan under the wing of mentors such as the amazing Arthur Mendoza, Carl Stillitano, and Gordon Michaels, to name a few. She has played a wide variety of characters on both stage and screen over the last 20 years and is happy to be continually growing and evolving as an actor and a human being. Alicia Humphrey is a recent graduate of the Music Theatre Performance program at Western Michigan University in Kalamazoo, where she received her BFA as well as a secondary major in Spanish. In the past year, she played the role of Wendla in the popular musical Spring Awakening at WMU and also appeared in the 2012 production of Late Night Broadway alongside Broadway actress Karen Ziemba. She recently began pursuing her career as a film actress and plans to move to New York City in the near future to continue acting both onstage and onscreen! TWENTY YEARS LATER is her second feature film experience and she feels excited and blessed to be a part of such a wonderful and talented cast and crew! Beverly Courtade appeared in numerous stage productions in her youth, including Harvey and Sorry, Wrong Number. Since then she has acted in several of her son Joshua's films, such as MURDER FOR DUMMIES and PARANOIA BLUES. She is a proud mother and grandmother and is excited to appear in TWENTY YEARS LATER. Lynn Montgomery has appeared in several films in West Michigan, including HANK DANGER AND THE SPACE MUMMY'S TOMB! and HANK DANGER AND THE RIDDLE MOUNTAIN CURSE! Over the past several years, David Gries has been creating a name for himself in the independent film scene by carrying principal roles in feature length and short films, both independent and academic. Mimesis (an indie feature shot in Michigan featuring Sid Haig and Courtney Gaines) is currently being distributed domestically by Anchor Bay. Other indie features, America's Most Haunted and Burst Theory are currently in post production and making the domestic and international distribution market rounds. Most recently, Caleb Slain's traumatic comedy, Free Pie was released on Vimeo garnering accolades such as Staff Picks and Short of the Week as well as boasting nearly 50,000 views in the first week. David has had the opportunity to become a wide range of characters throughout his career and brings a unique charm that makes his performance realistic and relatable. His method of developing a character is organic and empathetic and it’s a joy to watch. He’s an easy going performer getting on quickly in any setting making him a pleasure to have on set both personally and professionally. 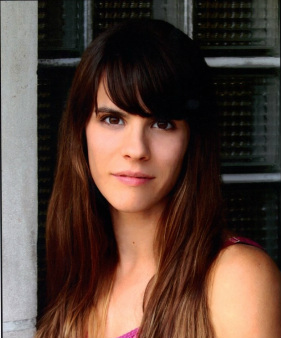 Rachel Clare Higgins moved to Michigan from Switzerland to earn a Bachelor of Arts in Theatre Performance from Western Michigan University. TWENTY YEARS LATER marks the 10th film that Joshua Courtade and Rachel will work on together. Other films that they have worked on together include: THE MAN WHO MAY OR MAY NOT EXIST, NEUROTICA, and PLAYING HOUSE, for which Rachel earned an award for Best Actress in a Michigan Short Film at the Uptown Film Festival in 2011. Rachel lives in the Kalamazoo area and acts in local films and plays when she has free time away from her current studies in speech-language pathology.